‘Tis the season of gorgeous garlands and wonderful wreaths! Even though both of these items can be used year-round for adding a touch of greenery to any setting, we definitely see a greater interest in them around the Holidays. So, today I am going to share some of my favorite ways to use these wreaths and garlands, weather you want to spruce up your home for the Holidays, are planning a winter wedding, or are daring enough to try one of these ideas off season (Hint: using garlands with added flowers make for a super chic table runner and could be a hot wedding trend for 2015!). 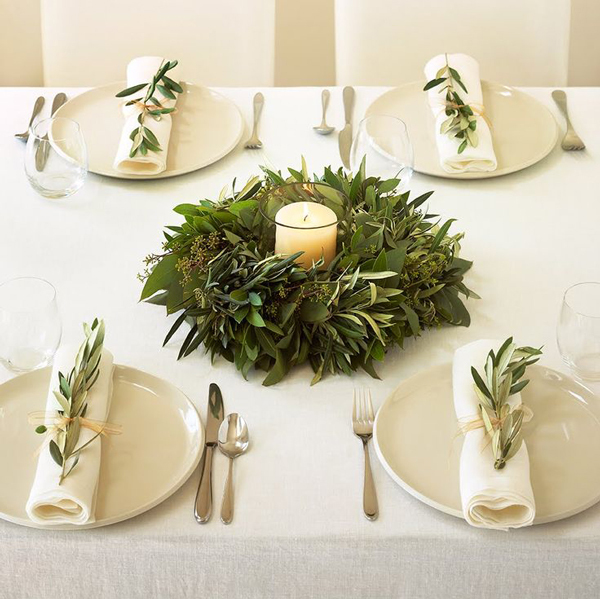 For an easy and chic centerpiece, place a wreath (or a few for a long table) in the center of your table. Finish by placing a candle in the center to add romantic lighting. 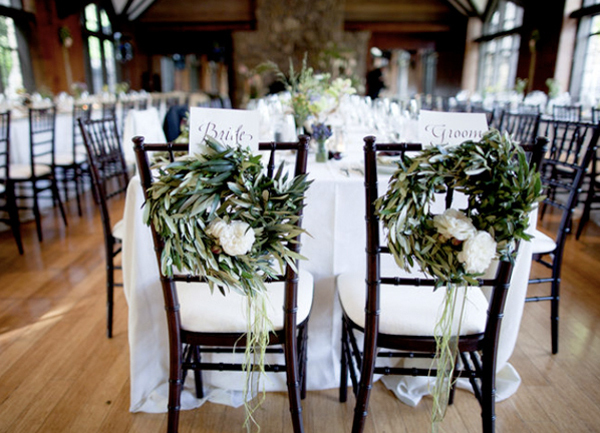 Use wreaths to dress up Guest of Honor or Bride and Groom Chairs. Look how great they look spruced up with a few flowers and ribbon! And of course you could customize with your choice of flowers and colors. Use a wreath to accent a tall, narrow, snow-flaked or quilted wedding cake. Lift off after you do your cake cutting! 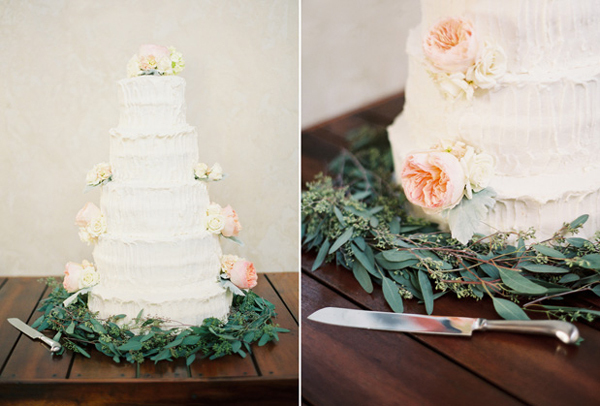 Check out this gorgeous Chandler Vineyards Wedding where they created a seeded eucalyptus “wreath” to surround the bottom of their wedding cake. This is one of our Rosemary Wreaths used for a seating chart! 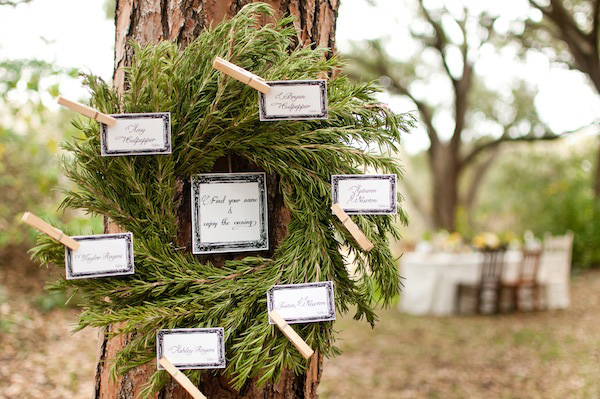 Perfect for a rustic wedding or a holiday dinner party, just use a wreath or two to ‘pin’ your seating assignments in place. Check out all the Wreaths we have to offer here! 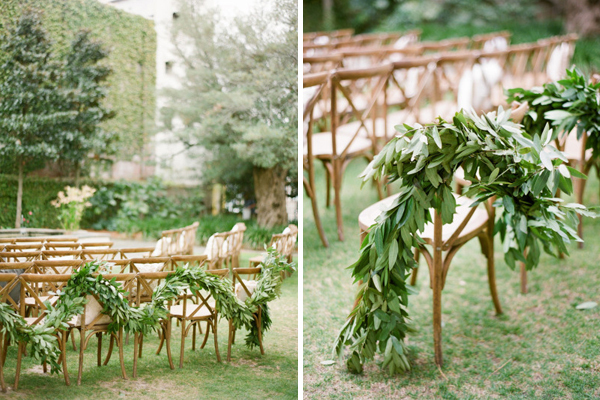 As with the wreaths, you can also use garlands to dress up your chairs. Cut to smaller lengths to use on the guest of honor or bride and groom chairs or leave long and drape across the last row of your ceremony chairs to greet your guests with some fresh decor! 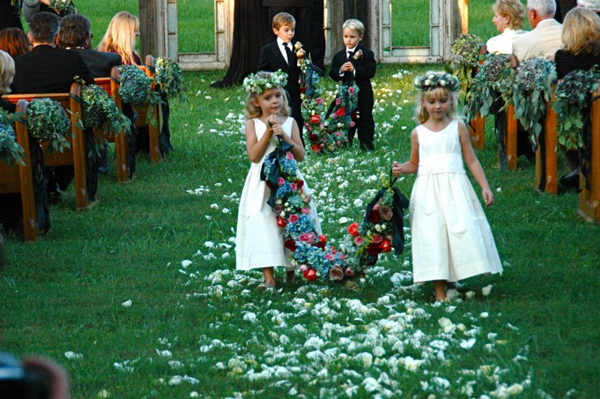 Instead of mini bouquets or kissing balls, have your flower girls hold each end of a garland. As an added bonus, it may just keep them walking down the aisle together! 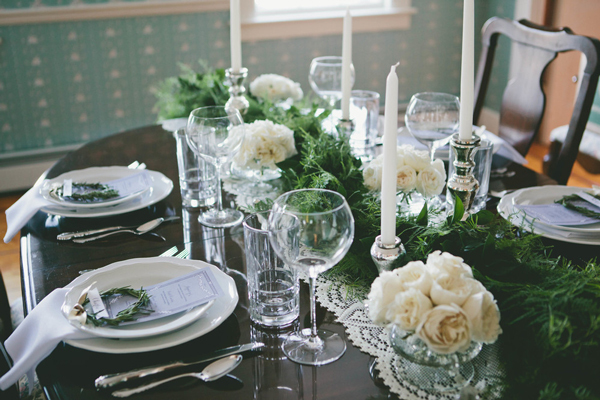 Last but certainly not least, use a garland to create a fresh and lush table runner! Add flowers straight to the garland, or place vases of flowers on either side of the garland, like they did in this winter inspiration (pictured above with our flowers and garland!). I also came across a useful post, 5 Tips for Using a Garland as a Table Runner, which suggests adding flowers, fruit and/or candles, plus leaving some space between place settings since you won’t have as much room in the center of the table. Check out our selection of garlands here! In addition to these fun uses, don’t forget the obvious! Hang wreaths on the door to your home or to your ceremony or reception entrance. Wrap garlands down banisters or hang for a fresh ceremony backdrop. The options are endless! How would you use your wreaths and garlands? Tell us in the comments below! 2015 Pantone Color of the Year: Marsala!